It's been taking me a while to finally write this post, to talk a little bit about colorism. I have a lot to say about it, but I am going to try to keep this post at a reasonable length. So why don't I provide the definition of colorism to those of you who do not know what it means: Colorism is a form of discrimination based on skin color; typically among people of the same ethnic or racial group. So that's what colorism means. Colorism was first mentioned by an African-American author and activist named Alice Walker. Alice Walker was clearly aware of this large division among the black community, based on the different shades of black. This discrimination is the result of social values associated with your skin tone, or shade of melanin. Why do I have a problem with this? Ever since I was thirteen years old, I got "compliments" like: "You're really pretty for a black girl," or "Wow... You're pretty for a dark girl," and I've also been told that I'm not like other black girls. First of all, these are not compliments; these are insults. I find it highly offensive when I am told that I am pretty for a black girl because it is another way of saying black girls are not usually pretty. That's a lie. Black girls are beautiful. Second of all, why can't I just get a normal compliment? Why can't I just be told "You're really pretty," and leave it at that? Lastly, black girls are not all the same. So let me explain even further. All over social media, there are posts of light-skinned girls with very curly hair and slim waists, promoting for those basic detox teas. Another term that people like to use for people with lighter skin is "mixed," a term that I personally do not like to use when describing someone of more than one racial background. Women with lighter skin get a lot more attention than women with darker skin because they are seen as "exotic." To sum it all up, people with lighter skin get treated way better than people with dark skin. To make it worse, many of those people with lighter skin act as if colorism does not exist as they post pictures of themselves with a caption stating "Lightskins are winning." I have been told that I would look good with a light-skin boy because we could make some beautiful babies. Ignorance is a bliss. Light skin babies are fetishized over their beauty. Most of you may not want to believe what I am saying, but it is evidently true. I have been told that I am pretty for a dark girl... Are dark girls not pretty enough? Do we have to make ourselves look lighter to fit society's toxic norms? 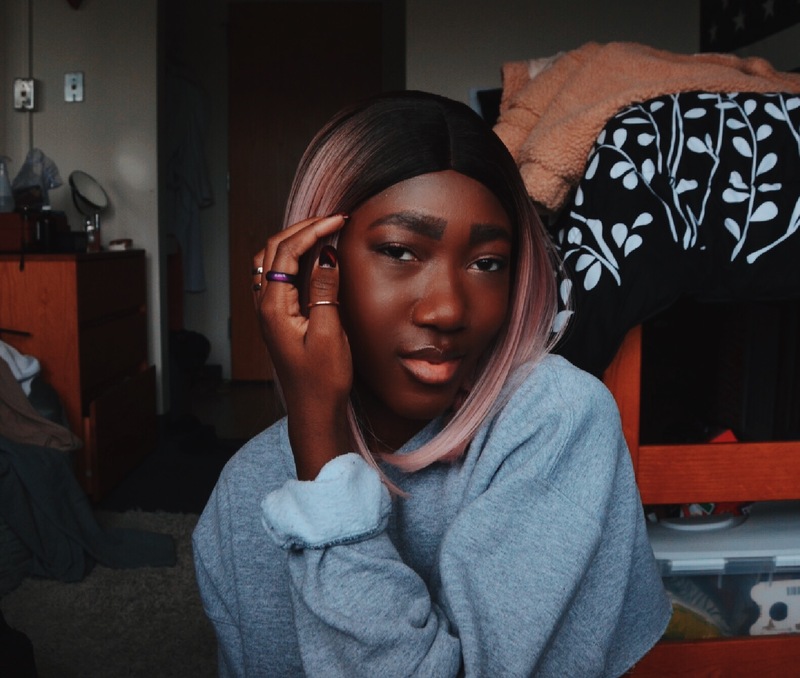 We can discuss black and Indian women bleaching their skin, but then we must talk about how colorism makes those women feel unpleasant and inferior. We must talk about the privilege light-skinned people have over dark-skinned people, the privilege that is not acknowledged. The privilege comes from the fact that most white people do not see light-skinned people as "fully black" because their melanin is not as evident. I read a list of thirty privileges that light skin blacks have that dark skin blacks don't; the link is at the bottom of this post. The one that really caught my eye was #2 because people truly believe Martin Luther King Jr. died for interracial love when he died for equal rights among the different races. C'mon now. Now, you must remember that colorism is not just an issue in the black community. It is also an issue in the Indian community, Asian community, and Hispanic or Latinx community. The obsession with lighter skin is known in India as more skin whitening products are being sold there. There are a lot of people who do not know that not all women in the Asian community have light skin. People ignore that beauty has a spectrum. Now, this post was not written to bash light-skinned people or make it seem like I have something against them because I don't. This post was not written to state how jealous I am of girls/women with lighter skin because I am not jealous. I just hope society can realize the spectrum that beauty has, and accept that spectrum. I also hope the black community can accept this spectrum. If we are all black, why must we divide ourselves based on our shade of black? Being too dark is not ugly, the same way being too light is not. I love seeing a lot more dark-skinned girls and women accepting their melanin, and embracing the skin they are in. The whole #lightskinsarewinning, #brownskinwinning, and #darkskinsarewinning battle needs to end. Making girls and women feel ashamed of their darker complexion needs to end. The last thing I ever want is for my daughter to grow up hating her skin complexion because society does not consider it beautiful enough. Great post Aisha! I can definitely see where you are coming from since I get a lot of the same "compliments." Black is beautiful, that's all I know. Thanks Tonya, and I really don't understand why people can't just say "You are really pretty." That's it. You're right, though; black is beautiful.